A footballer even vaguely stating a desire to play in another league is enough to get rumours flying about the player’s transfer. The news of a player explicitly stating a desire to play for a specific club almost always ends up happening. There is of course, the initial haggling over the price by the two concerned clubs but eventually, the move normally goes through if there is not much disparity over either club’s valuation of the player. 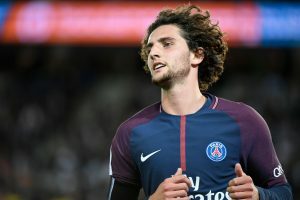 Latest such news concerns Paris Saint Germain’s midfielder Adrien Rabiot who has subtly stated a desire to play for Liverpool in one of his latest interviews. Arsenal and Tottenham Hotspur are said to be long-term admirers of the player and have been linked with a move for the 22-year-old in the last two years but the move never materialized. Now the Merseyside club has the opportunity to pull this transfer off under the noses of their Premier League rivals and they sure seem to have the upper hand against the other clubs fighting for his services. Despite his talent, Rabiot struggled to get first-team minutes initially but now has been a rather regular feature of PSG’s midfield after Unai Emery’s arrival. Rabiot has the ability to pull the strings from the centre of the park and dictate the tempo of the game. His pass completion of 90 percent and 1007 forward passes in 27 games in the French Ligue 1 last season is quite impressive. He is quite strong and has the ability to outmuscle opposition players off the ball. Even though he doesn’t really add much in terms of goals and assists, he is an excellent player to regulate the midfield. He plays as the link between the attack and defence for PSG. Rabiot normally focuses on the defensive side of the game and despite that, he has a knack of creating chances on a consistent basis. 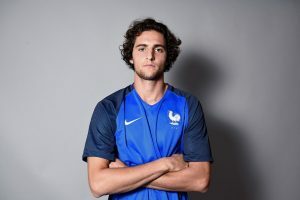 Liverpool surely need quality and depth to add to the central midfield and Rabiot could slot in really well in the midfield, adding more protection to the back four. Someone like him could help plug-in defensive gaps without taking too much away from the Liverpool’s offensive side of the game. Rabiot is still very young and can improve a lot over the next few years and this should perhaps tempt Klopp to pounce on the opportunity. 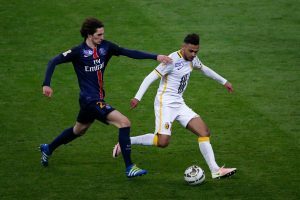 At just 22 years of age, PSG are likely to command a high fee for the player. But he is what Liverpool have lacked over the last few years and an addition of a player such as him can help stop their defensive leakage by a good degree. Jurgen Klopp will surely be excited to get his hands on a player of Rabiot’s quality. A skeptical mystic who likes to channel his inner loneliness into drumming and dissection of football games. Dreams of watching Tottenham play at the new White Hart Lane. Has spent a majority of the last two years on foul-mouthing Moussa Sissoko and worrying about his receding hairline. Real Madrid Emerge As Shock Suitors For Former Liverpool Ace: Should Zidane Get This Done?